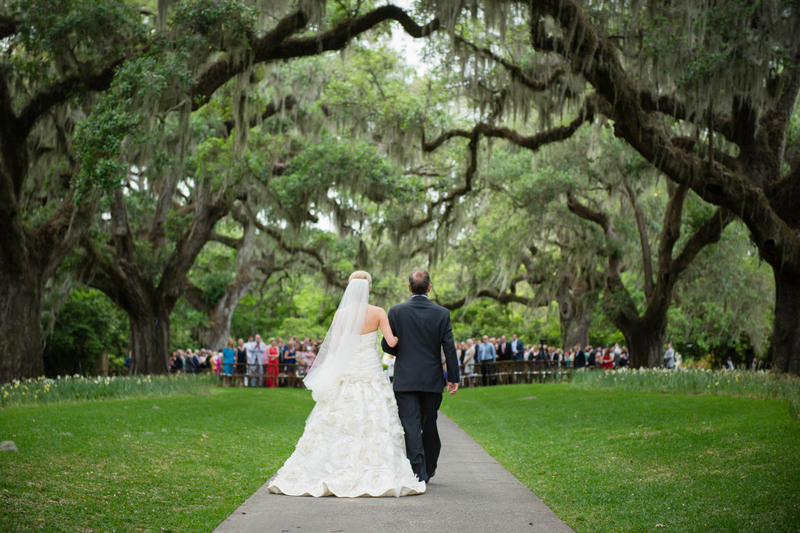 A bride, being escorted on the arm of her father, approaches the altar during a ceremony at Brookgreen Gardens. As this Bride walks towards the alter to meet her groom, she walks amongst beautiful old oak trees draping over her ceremony. She and her father make their way to the alter, arm and arm. Such a beautiful backdrop.